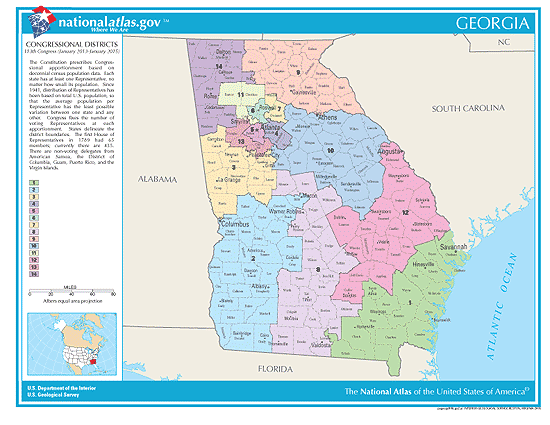 Directory of Georgia elections. Georgia candidates for Governor, state reps and Congress (Senators / House of Representatives). GA primary and election races. Voting info. Political parties. State election office. For eligibility & identification requirements, dates, deadlines, voting materials, contact info and more: [ click here ]. All important election dates & deadlines for voters: [ click here ]. In the state of Georgia, polls are open from 7:00 AM until 7:00 PM Eastern Time. In all cities having a population of 300,000 or more, polling places will remain open until 8 p.m.
Georgia has 56 State Senate members: 21 (Democrats), 35 (Republicans). Length of term: 2 years. 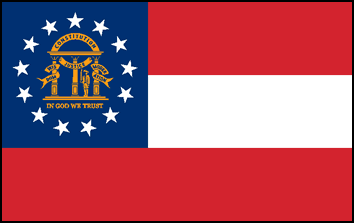 Georgia has 180 State House members: 75 (Democrats), 103 (Republicans). 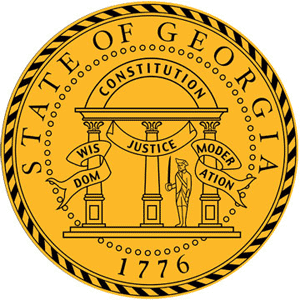 See the 2019 Georgia Races, Court Judges & Ballot Measures you will be voting on: [ click here ]. - Includes all your federal, state and local races. NOTE: Type in your address, then click "Check My Races." This will list everything to appear on your ballot this year. To see which US Congressional district you live in: [ click here ]. What are my local districts? Visit your county, parish, city or town websites: [ click here ]. Do You Make These 3 FATAL MISTAKES In A Crisis? Don't Be Left Vulnerable, Defenseless & Exposed. Pay Very Close Attention. Famines, Wars, Economic Crises, Diseases & Droughts? Learn How To Make The ULTIMATE SURVIVAL FOOD Right Now. * Next Election in 2020. * Next Election in 2022. Election Races: Who's In. Who's Out. Q & A: What is the difference between a primary, caucus and convention? Q & A: Can a Democrat / Republican primary losing candidate run as a third party candidate? Q & A: Is the electorate required to adhere to the popular vote? SITES: Solution oriented & truth-driven political websites. I Don't Know If I'm Already Registered To Vote. How Do I Find Out? I've Moved. Do I Need To Re-Register To Vote? What Are My State's Voter Laws & Registration Deadlines? What Do I Need To Bring With Me When I Vote? How Do I Contact My Elected Officials & Politicans To Make My Voice Heard? How Has My Elected Official Voted On Every Bill & Issue While In Office? Is My Elected Offical Telling The Truth OR Full Of Crap? What Is My State's Election Info Website? What's The Difference Between a Primary, Caucus & Convention? How Do I Vote Or Participate in a Primary Or Caucus? What Is My Political Ideology? How do I figure it out? I am a registered Independent. Founded in 1999, my goal is to present ALL Americans with the necessary information vital to making smart, well-informed decisions. Let's elect representatives that have OUR best interests at heart. Democracy.io - Contact members of congress. RepsContacts.com - Contact or follow your US Representatives. 5calls.org - Make your voice heard. TownHallProject- Find a town hall near you. OnTheIssues.org - How every politician stands on every issue. The truth.